Successfully Added Meizu MX3 Octa Core Smartphone - 32GB ROM, 5.1 Inch 1080p Gorilla Glass Screen, Exynos 5410 1.6GHz, 2GB RAM, Flyme OS 3.0, NFC to your Shopping Cart. This product is stored in our Hong Kong warehouse; therefore it will be shipped independently via express if ordered with other products. Meizu MX3 Octa Core Smartphone is an absolute masterpiece. It boasts 32GB ROM, 5.1 Inch 1080p Gorilla Glass Screen, Exynos 5410 1.6GHz, 2GB RAM, Flyme OS 3.0 in addition to NFC. Chinavasion is the only authorized international reseller of Meizu phones based in China. As soon as you handle the Meizu MX3 mobile phone, you will notice the big large 5.1 inch 415PPi Gorilla Glass screen, which also incorporates OGS technology for a finer and slimmer finish. Also when you view your multimedia content through this ravishing screen, you will be exposed to a entrancing 1080p resolution so that all your movies and games will be shown in visual brilliance. A magnificent phone requires a magnificent processor and the Meizu MX3 is of no exception as it comes with the Hercules-esque Exynos 5410 Octa Core 1.6GHz. Don’t worry about performance of your phone as this processor and the 2GB RAM it is paired with together produce a mighty quick experience where even the most demanding of applications are handled easily with no lag. Another cool features of the Meizu MX3 phone is that is has 32GB internal memory making it ideal for saving all your content such as games, videos and music library. Also to transfer any photos or music, you can use the one of the many Meizu MX3 connectivity features including Wi-Fi Direct, Bluetooth, Miracast or Near Field Communication (NFC). NFC is ideal for transferring data at rapid speed as it only requires you to place the back of your phone within centimeters of another NFC compatible phone to transfer images. The operating system for the Meizu MX3 is Flyme 0S 3.0, which is based on the Android 4.2 Jelly Bean operating system. As Flyme is very user friendly, the Meizu MX3 guarantees that the user will not find it difficult to use. If you’re a photographer, then you will appreciate the Meizu MX3 smartphone’s Sony 2-megapixel back-illuminated front-facing camera and the Sony 8-megapixel back-illuminated rear camera. Use the front-facing camera to web chat using applications such as SKYPE and then use the rear camera to capture those special moments as they happen. Also you can record videos as the camera can record at 1080p resolution at 30 frames per second resulting in high quality footage. In stock now, we guarantee that the 32GB ROM Meizu MX3 Octa Core Phone can be dispatched within one working day with a 12 months warranty. Brought to you by the leader in electronic devices and wholesale Android phones, Chinavasion. 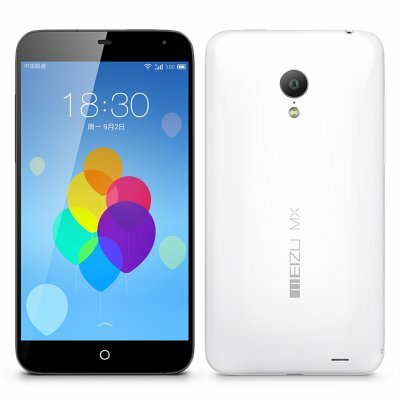 Please note that this is the international version of the Meizu MX3 phone.